ITHACA, NY. Were the twelve apostles guilty of overeating at the Last Supper? Two brothers—an eating behavior expert and a religious studies scholar—are publishing findings that might make you think twice at your Easter dinner. 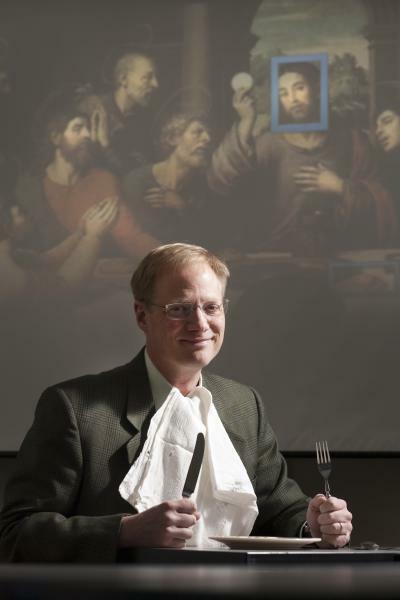 Brian and Craig Wansink teamed up to analyze the amount of food depicted in 52 of the best-known paintings of the Last Supper. After indexing the sizes of the foods by the sizes of the average disciple's head, they found that portion size, plate size, and bread size increased dramatically over the last one thousand years. Overall, the main courses depicted in the paintings grew by 69%, plate size by 66%, and bread size by 23%. The study's findings will be published in the April 2010 issue of the International Journal of Obesity and released in the online version of the journal on Tuesday, March 23. "I think people assume that increased serving sizes, or 'portion distortion,' is a recent phenomenon," said Brian Wansink, professor and director of the Cornell Food and Brand Lab. "But this research indicates that it's a general trend for at least the last millennium." "As the most famously depicted dinner of all time, the Last Supper is ideally suited for review," said Craig Wansink, professor of religious studies at Virginia Wesleyan College. "The method we used created a natural crossroads between our two divergent fields and a wonderful opportunity to collaborate with my brother," he added. Portion size and spatial relationships are familiar topics in Brian Wansink's work in food and eating behavior. In his book Mindless Eating: Why We Eat More Than We Think, he explores the hidden cues that determine what, when, and how much we eat.